I think one of the hold outs in what our phones can do vs. what our cameras can do is long exposure. I'm drawn to long exposure because the results are so interesting - recording the minutiae, as well as the opportunity to really 'paint' with light. You're also not flooding your camera with 'fake' light at really high ISO levels, so you're really getting a sense of that star-filled night magic. 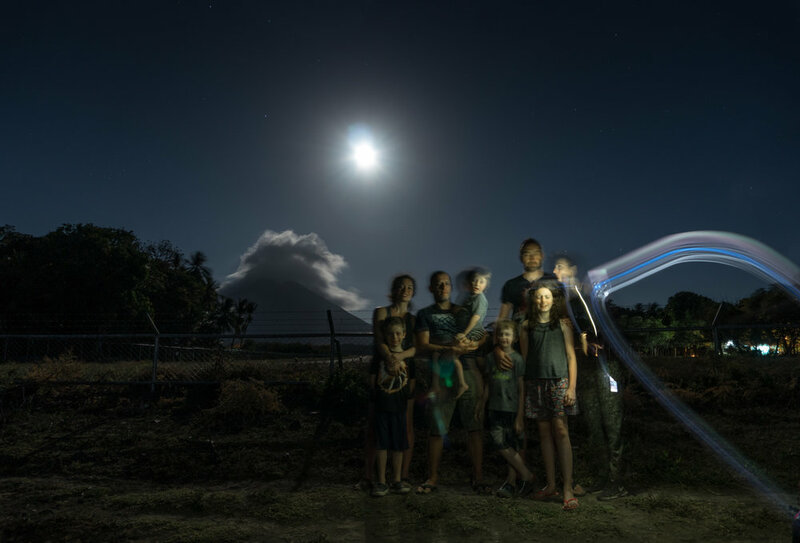 On our first night on the Island of Ometepe, it was a full moon and we were a one minute walk away from an incredible view of the volcano Concepcion. 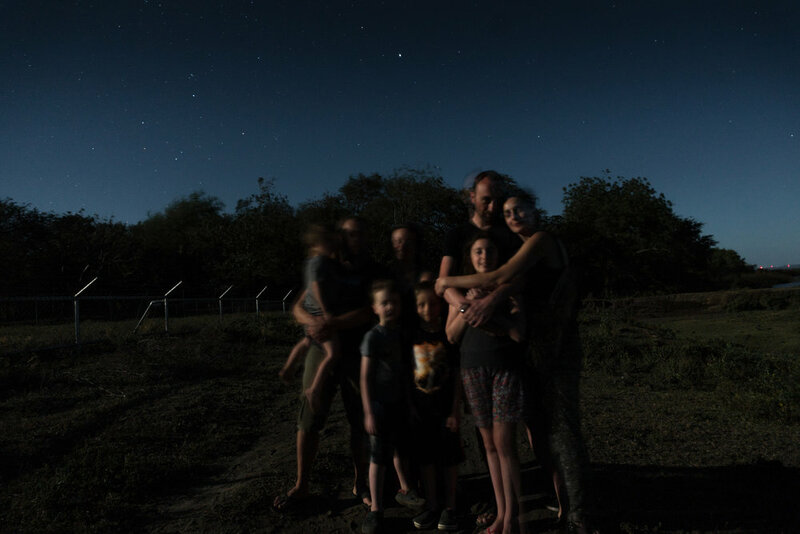 I wanted to get an interesting portrait of our two families and it was fun explaining the concepts of long exposure to the kids. If it wasn't so dark, I am sure I would have seen how their eyes glazed over. My daughter thought I sounded annoying in my "explaining voice" but even so... I think they had fun trying to be still for 30 seconds! Here are the results. In the first one, the only light we had was the full moon and the stars. In the second, I used my phone to paint light on our faces since we were back lit by the moon.